The idea of converting garbage into usable forms of alternative energy and fertilizer has been discussed from time to time. Many times we have heard that some foreign companies together with local partners also had submitted proposals for such garbage disposal projects. 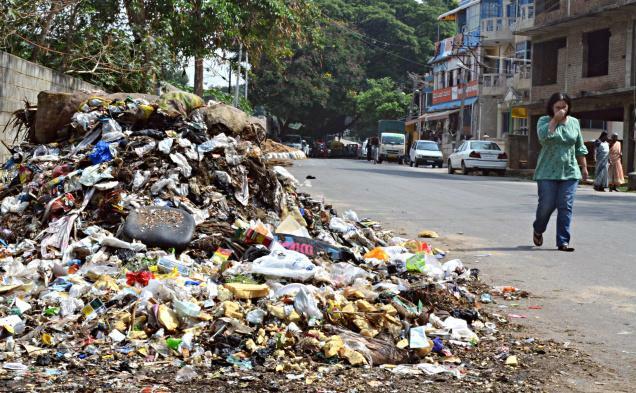 The residents of Ja-Ela and Ekala have launched a massive protest campaign against the government’s move to relocate the Meethotamulla garbage dump to Ja-Ela in terms of an undertaking given by the Colombo Municipal Council to the Supreme Court. The petitioners had cited the CMC, Urban Development Authority, Western Province Waste Management Authority, Central Environmental Authority, Kolonnawa Municipal Council and the Attorney General as respondents. The campaign is supported by Archbishop of Colombo Malcolm Cardinal Ranjith and the Catholic Church on the ground that it will contaminate the water bodies and pollute the entire Ja-Ela area. The unfortunate thing is that the government’s move is far from a solution to the issue as relocating the garbage dump is only an attempt to shift the problem to a new area instead of resolving it. The gravity of the issue is evident as Meethtamulla garbage dump which has been there for quite some time has already caused immense health problems to the people in the surrounding area. As reported around 30 people of the area have already died due to dengue, rat fever, skin diseases and kidney problems. As petitioners in the fundamental rights case had pointed out there are more sustainable solutions other than dumping of garbage in open areas which could bring an end to this problem, but such measures are not being taken by the respondents. However due to some reasons none of these projects have taken off the ground and in fact many of them have been shot down by various parties as non-feasible but without proposing any viable alternatives to the problem. It is also no secret that garbage disposal, especially its transport is a huge business and there have been allegations that local government officials often work in collusion with transport business and they prefer to continue dumping garbage in their favourite sites. Some developed countries like Japan have long been using sustainable methods of disposing garbage with advanced technology to convert them into energy and fertilizer. It’s time for the government to come up with a universally accepted solution to the growing problem of garbage which is closely connected to urbanization. The problem which is currently acute in Colombo and suburbs could become a serious issue with rapid urbanization.